Converting your overseas or international drivers licence opens up a world of opportunities. Enjoy the freedom of driving wherever you want without relying on friends or unpredictable trains and buses. Take a weekend trip to the coast, find yourself a better job or just take the stress out of everyday travel. Stop wasting your valuable time waiting for public transport! For many Victorians driving is often the preferred way to get around. When everyone is following the same rules our traffic system functions smoothly and helps us connect with other areas of Melbourne. Depending on the country your licence was issued, you may find that some of the rules and expectations of other drivers are very different to what you are used to. To obtain a Victorian drivers license it is important you are properly prepared for your test. Vicroads often changes their strict rules on converting overseas licences. If you do not pass you will be required to obtain a learners permit to continue driving before your next test attempt. Whether you've had a lot of experience or consider yourself a beginner, you need someone you can trust to help convert your overseas driving licence. 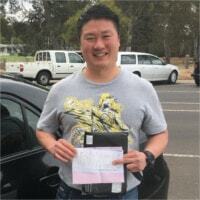 Eclipse provides expert driving lessons for overseas drivers throughout the west including Werribee, Hoppers Crossing, Point Cook and nearby suburbs. We understand the challenges of adapting to road rules in a different country and transferring your existing skills to meet local conditions. Beware of budget driving schools that tell you practicing test routes is a short cut to passing your driving test. Often they will sell you more lessons than you need because they are not as skilled at detecting your shortfalls and take longer to develop the skills you need to improve. Sadly there are no shortcuts and understanding how to drive safely in any situation is the best way to improve your chances of converting your overseas licence. All of our trainers have over 30 years driving experience on Melbourne roads and have a thorough knowledge of constantly changing road laws. We will guide you through the international licence process to ensure you comply with the current requirements. Using clear fluent English we make use of a variety of training methods adapted to your learning style to ensure a fast and efficient training process. Do you have a thorough understanding of Victorian road rules? To successfully pass your driving test you will need to become familiar with Victorian road rules. This will also help you become a safer, more courteous driver and make your driving more enjoyable. Visit our Resources Page where you can download a copy of the "Road To Solo Driving" and "Drive Test Criteria" which cover the main rules and responsibilities you should be aware of before driving in Victoria and what to expect from the test. There are also a variety Vicroads resources relating to road rules and safety to help you understand your obligations as a driver on our roads. How well can you deal with a wide variety of local traffic situations? Putting your knowledge of the road rules into practice is an important part of your test preparation. This is best achieved by lots of driving in different traffic conditions and being exposed to a variety of situations. Having supervised practice and guidance in the areas you have the most difficulty with is an effective way to build the skills and confidently take your assessment. Do you understand what the Vicroads testing officer is expecting from you? Passing the on-road test to convert your licence is not difficult with the appropriate preparation. Mostly you are expected to simply follow the road rules and drive safely. To be successful under the pressure of a test situation you should aim to develop your skills to a higher level than the test criteria. This is best achieved with the assistance of a quality driving instructor that focuses of helping you develop safer driving habits. Contact us today to arrange an appointment near you. We guarantee reliable advice and expert training to help take the stress out of converting your licence.